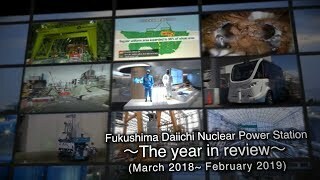 At a monthly press briefing on November 29, the Japan Atomic Industrial Forum (JAIF) released an overview of the 2017 results of its annual “Fact-Finding Survey of the Japanese Nuclear Industry.” The survey covers fiscal 2017 (ended March 2018), a period in which effectively only five nuclear power plants were in operation in the country. Questionnaires were distributed to a total of 365 for-profit companies engaged in the nuclear power field, including JAIF’s member companies, seeking information on their expenditures, sales and numbers of employees. Valid responses were received from 254 companies (eleven electric power companies, 234 mining and manufacturing firms, and nine trading firms). Although the business environment for nuclear-power and related industries in Japan showed signs of improvement, due to the new regulatory standards being met and some NPPs being restarted, expenditures by electric power companies and mining and manufacturing firms increased only slightly during FY17. Meanwhile, nuclear-related order backlogs for mining and manufacturing firms substantially increased for the second year in a row, and the number of nuclear-related workers grew slightly from the previous year. Regarding business sentiment in nuclear-power industries, most survey respondents (responding in FY18) described theirs as “bad” (79%), with most experiencing “unchanged” (43%) or “reduced” (34%) sales in comparison with the previous year. In other words, in terms of both sentiment and sales, most of the respondents foresee their situations one year from now as similar to this year’s. In terms of the effects of the protracted shutdowns of NPPs, many respondents again pointed to reduced sales (56%, multiple responses permitted) and difficulties in maintaining and continuing their technological capabilities (58%). Regarding the specific adverse effects on maintaining and continuing technological capabilities, most respondents reported a reduction in on-the-job training (91%). Meanwhile, in response to a further question on what they were doing to maintain the own technology and knowhow, most cited the “reinforcement of education and training” (77%). 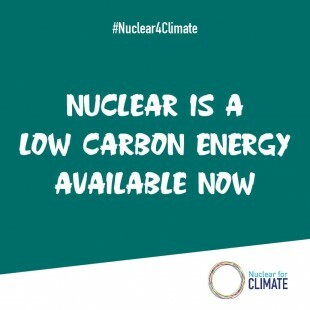 In July 2018, which fell in the second month that the survey was conducted, Japan issued its fifth Strategic Energy Plan, which has set the goal of 20 to 22 percent for nuclear power in the country’s energy mix by 2030. The survey thus asked whether that goal was feasible or not. Half of the respondents said that it would “not be achieved,” with almost half (48%) citing “no prospects for building new NPPs or replacing older NPPs,” and one-third (33%) citing “delays in NPP restarts”. As for the factors necessary to successfully promote Japan’s nuclear power industry, the most commonly selected response was the “consistent promotion of nuclear policy by the government” (71%, multiple responses permitted), followed by “early restarts of NPPs and stable NPP operation” (60%), and “restoration of public confidence in nuclear power” (59%). Additionally, the ratio of those citing “securing and fostering nuclear-related human resources” (26%) as a factor in promoting the nuclear power industry has been increasing in recent years. In that respect, given the scant progress in restarting the country’s NPPs, there are increasing concerns about securing human resources and maintaining and continuing technologies.